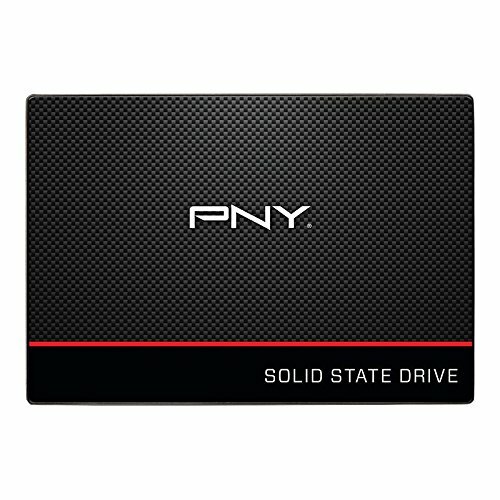 The PNY CS1311 2.5-inch SATA-III (6 Gb/s) solid state drive (SSD) is the value performance line of PNY SSDs. It is an excellent choice for an entry-level upgrade from a hard disk drive (HDD). The PNY CS1311 was designed to be an easy and cost-effective HDD replacement for your existing PC system, helping to realize faster boot times, quicker application launch and better overall system performance. Upgrade your laptop or desktop computer and feel the difference with super-fast OS boot times and speedy application loads. Exceptional performance offering up to 550 MB/s seq. read and 520 MB/s seq. write speeds. 90,000 IOPS Random Read / up to 90,000 IOPS Random Write. Ultra low power consumption; Acronis Data Migration software included; Competitive 3 Year Warranty; 24/7 US based technical support.